Need More From Your Sales Team? 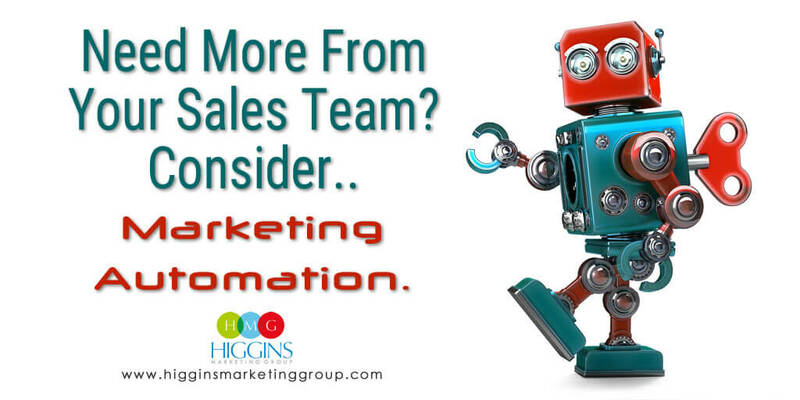 Consider Marketing Automation. If there’s one thing I’ve learned over the years, it’s that no two small businesses are the same. They all have unique challenges and opportunities. However, if you’re a business owner committed to growing your company, there’s one thing I can say with certainty. You believe that every single lead matters. You’re also optimistic that a good percentage of those leads should turn into sales. But that doesn’t always happen. In fact, it’s not uncommon for companies to close less than 5-10% of the leads that enter the sales funnel. When this occurs, the natural tendency is to question the effectiveness of your sales team. Should we have hired that underperforming rep? Do I need to provide additional sales training? Is it time to reengineer our sales process? While this thinking may be 100% on target, it might also be 100% off the mark. It’s possible you don’t have a sales TEAM quality issue, but you have a sales LEAD quality issue. There’s no question. The success of your sales team is directly linked to the quality of the leads you’re introducing into your sales funnel. If your sales folks call 50 low quality leads only to find that just 10% of those people have any real interest in your product or service, they’ve wasted 90 percent of their time (and 90% of YOUR payroll expense as the business owner!). If your sales folks call 50 high quality and interested leads you’ll likely find that 90% are willing to engage in a meaningful conversation now or in the future. THIS is what I call a productive use of your sales team’s time. It’s also a scenario that will generate significantly more revenue without increasing overhead. It’s just smart business. The key is to weed out all the tire kickers and time wasters, letting your sales professionals focus their time on only those prospects who are most willing to purchase. Sounds Good, But How Does That Happen? Companies invest a great deal on sourcing leads, but largely this pursuit of high quality leads falls short. One of the biggest complaints we hear is that businesses (small to large) feel they don’t have the resources to pursue a higher quality of lead. We get it. Sales-initiated lead generation is expensive – But what if you didn’t have to pay your sales team to source those leads? What if they came in on auto pilot? Over the last 15 years, technology has absolutely transformed marketing. Automation tools are now available to streamline the process of finding new customers and connecting with them. 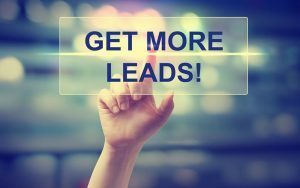 It allows you to segment your leads. 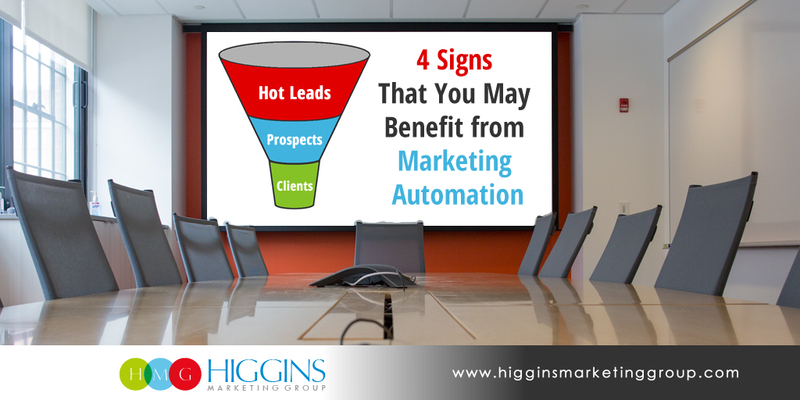 This means that each lead can be presented with the right message at the right time. Is this a new lead or returning prospect? Is this person showing interest in X, Y, or Z? 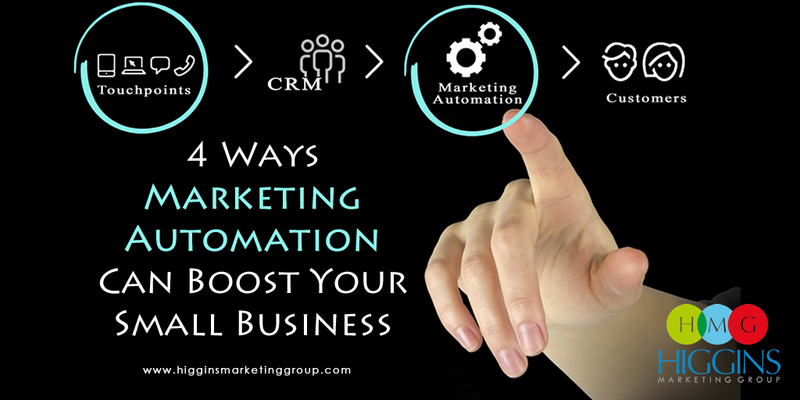 For today’s business owner, marketing automation translates into more effective sales and a higher rate of closing. What’s more, you won’t be stressing your sales team with low-quality leads. 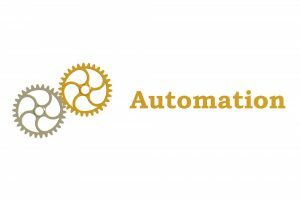 With the right marketing automation customized for your business, you also likely find that it can significantly reduce your overall cost of sales. If you’d like to discuss how marketing automation might work within your business, let us know! 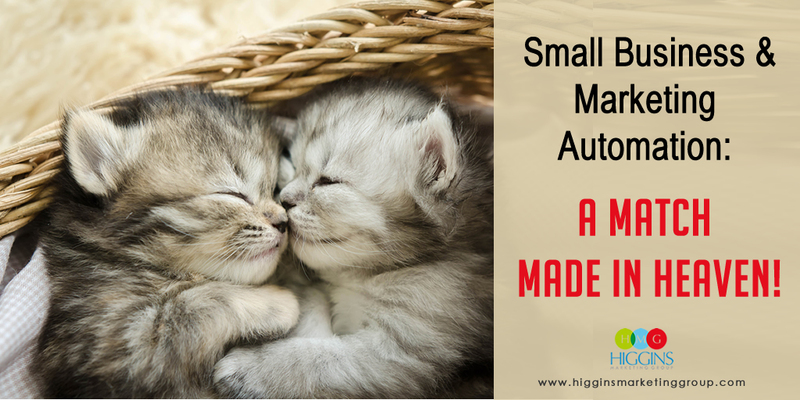 Small Business and Marketing Automation: A Match Made in Heaven!